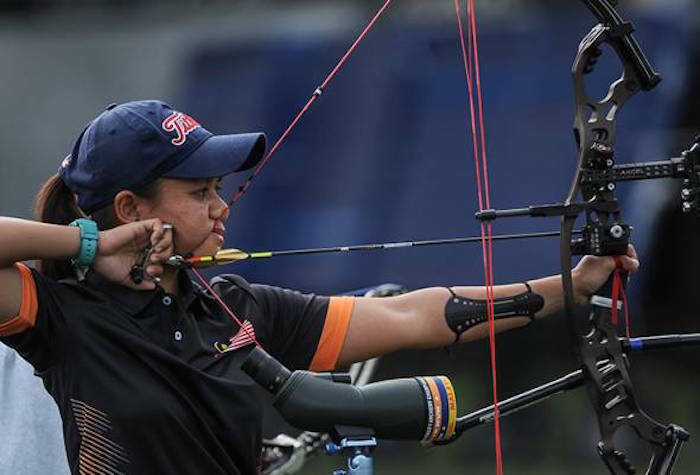 KUALA LUMPUR: Hopes were high on the compound archers to deliver but they fell short in the opening men and women’s individual competitions Wednesday. In the men’s final, Mohd Juwaidi Mazuki (pix) had to settle for silver after giving away a three-point advantage to lose 144-145 to Indonesia’s Prima Wisnu Wardhana at the National Archery Range in KL Sports City, Bukit Jalil. Another title hopeful, Fatin Nurfatehah Mat Salleh, failed to defend the gold she won in Singapore two years ago after managing the third spot. She was beaten 142-145 by Vietnam’s Chau Kieu Oanh in the semis but rose to the occasion to bag the bronze by beating Dellie Threesyadinda 143-141.